On behalf of admin of JML Law, A Professional Law Corporation posted in Wrongful Termination on Friday, Sep 15 2017. It can be a real heartbreak if after putting in your precious time, energy and resources in serving a company, you are suddenly asked to go without any explanation. This is sadly what a lot of people face. Well, it is possible you’ve been a victim and nobody can blame you for that, because there was no way you could have predicted that this would happen to you. Wrongful termination is an injustice that needs to be addressed. People can be wrongfully terminated for several reasons including injury on site, car accidents, as a sign of an oppressive management, or for discrimination. Well, you don’t have to lick your wound in the secret. No matter where you live in Los Angeles, you have access to talk to a Los Angeles wrongful termination attorney who can help you pursue your case and ensure that the compensation due you is obtained. Los Angeles wrongful termination attorneys do not only make it possible for you to get justice, but also provide you with free consultation to ensure that nothing stands in your way to getting justice. What this means is that you are represented by an attorney on a contingency fee basis. Now that you know money is not a barrier to getting your case reviewed the next step is to schedule an initial consultation with a Los Angeles wrongful termination attorney. 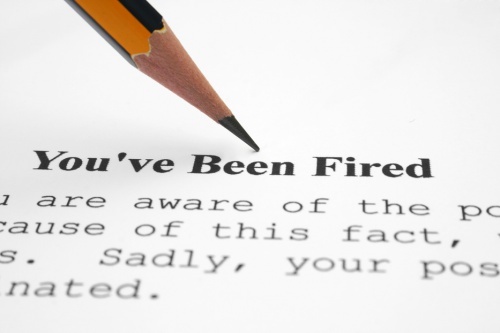 What amounts to wrongful termination? So, if you find yourself in a position where you have lost a job because of any form of discrimination, it’s time to talk to a Los Angeles wrongful termination attorney. Don’t suffer in silence! The number to call for your free consultation is 818-610-8800, if you live in Los Angeles and the surrounding areas. You could also send an e-mail to schedule a free consultation with one of our experienced attorneys. We work hard on your behalf to collect evidence and hold employers accountable for the illegal practice of wrongful termination. They will take witness statements and if necessary visit the work location. Being wrongfully terminated is a traumatic experience for anyone and can have long-lasting effects. Finding new employment is not always easy and your family will also suffer if you are the sole breadwinner. Cases can be resolved in a settlement but we are willing to litigate if necessary for your case.